Breitling’s Superocean dive watch collection has been updated with five sizes for 2019, given a new look that consists of Arabic numerals mixed with indices, and each is powered by the automatic ETA based caliber 17. 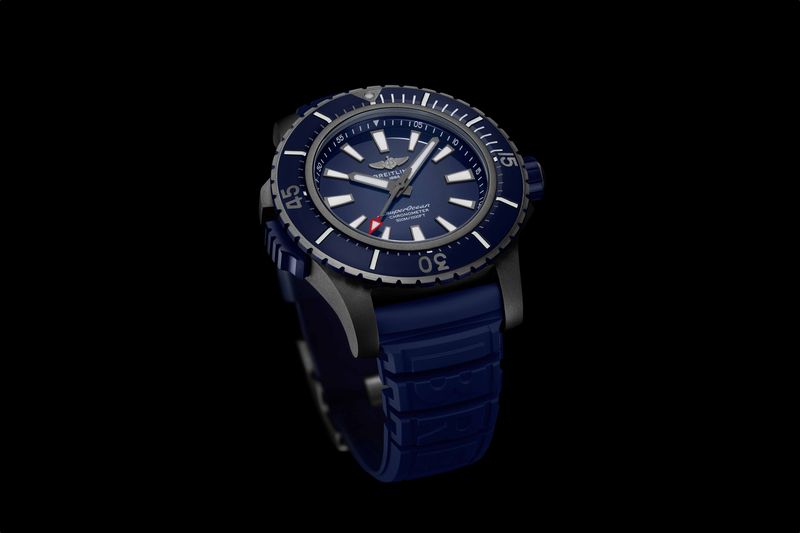 Uniquely, the 48 mm version, which comes in DLC-coated titanium with a blue ceramic bezel, is the only Superocean that only has just indices (with no Arabic numeral hours markers mixed in at 12, 9, 6). This flagship model also features a distinctive locking bezel, controlled by a blue switch on the left side of the case (with a blue crown on the opposite side), which none of the other models come with. The Superocean now comes in 48 mm, 46 mm, 44 mm, 42 mm, 36 mm diameter cases. With at least 4 variations within each size – except the 48 mm version which comes one way (as shown) – there are a total of 24 references. 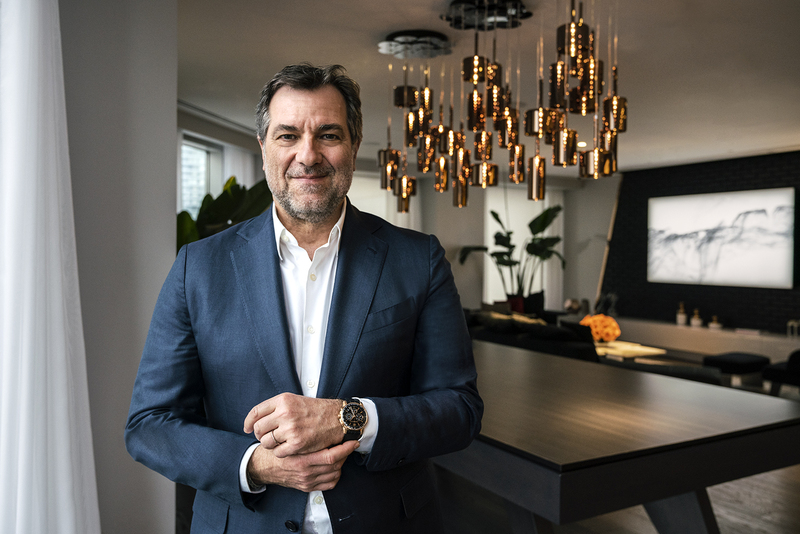 At a time when most watch companies we’ve talked to, stress the need to reduce the number of unique watch variations (SKUs) in their catalogs, Breitling appears to be going in the opposite direction and adding a considerable amount of new SKUs to their product assortment. This is not necessarily a bad thing, especially if consumers have more choices. Custom tailored products are more popular than ever, and you can order any number of products – designed to better fit your specific needs – at the click of a button nowadays. But that type of business is more suited for direct-to-consumer and e-commerce business – where orders can be stored in fewer centralized warehouses or made on-demand – versus stocked in individual retailers. 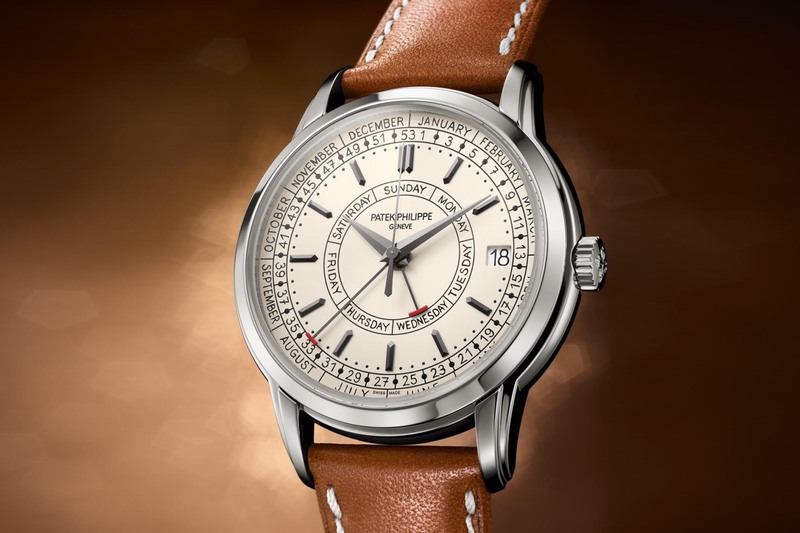 From a consumer’s perspective, getting the exact diameter of watch suited for your wrist is definitely preferable (just like a suit, jeans, shoes, etc), so maybe we’ll see more options from other watch companies as well. 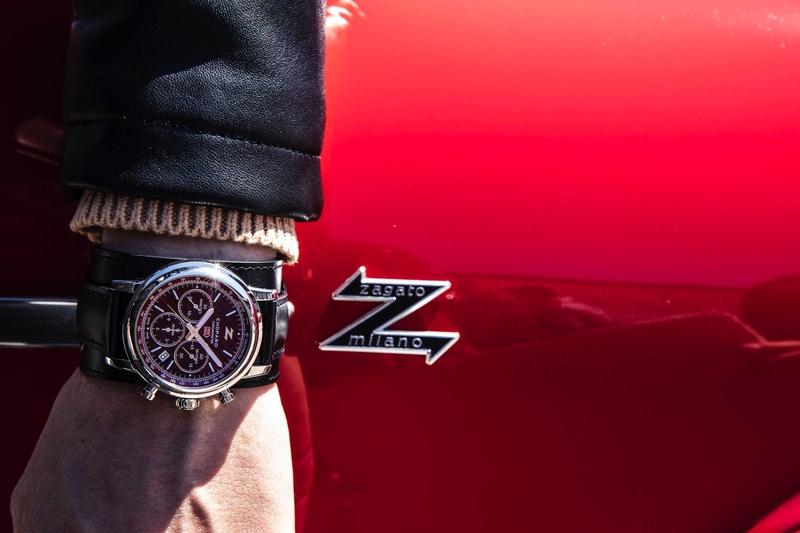 Especially as e-commerce continues to be a source of growth for the watch industry. Retail prices start at $3,450. Learn more at Breitling.